Derek Cut His Body Fat And Added Definition To His Physique! My name is Derek Peterson and I am software developer (geek) by day, Triathlete/Fitness Junkie by night (Well actually very very early morning. My training normally starts at 5 a.m. everyday). I consider myself a natural athlete, but I was never a fitness person or a weight lifter. Since I was a teenager in high school I always dreamed of being the big guy and being on/in magazines flexing my muscles. My only problem back in my high school days was I was the scrawny, tiny kid. I graduated high school at 5-foot-1 and 110 pounds. I was the kid being stuffed in lockers. Even though I was "sized challenged" I still participated in varsity soccer. I never made the basketball team for obvious reasons. In college I was blessed with a late growth spurt and grew a foot my freshman year. The following year my dream of playing college ball came true. I tried out for the Stony Brook University (Division 3) Basketball team and I made it! For years I was happy just playing basketball and soccer in various men&apos;s leagues. I was tall, fast and skinny. Some people would say I was "skinny fat." Every now and then I would buy a fitness magazine and dream of having ripped abs and being in a magazine. Then somebody would pop my bubble and I would go back to eating junk and say that will never be me. Having Ripped Abs And Being In A Magazine. In June 2008 I joined Planet Fitness through the encouragement of my family. I recently sold my software company and I was home all the time and they told me I need something to do. So I joined the gym. I knew nothing about gyms or for that matter working out. When I went it pretty much became a social event. However, in the back of my head I really wanted to be that fit/buff guy that everybody looked at. I asked a close friend who was in to weightlifting if he could write me some sort of training plan. My friend did that and I was able to stick to his routine and I started to notice a change in my body. This minor body change gave me the courage to think I can do this. I can get buff! 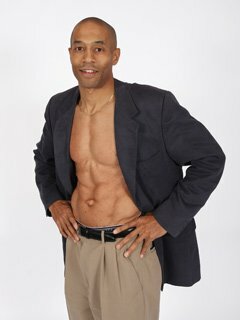 In September 2008 I made the decision to get buff and learn as much as I can and train as hard as I can. For months I trained and bought books and studied. Even though I was reading all these books I always skipped the sections on nutrition /diet. I laugh at myself now. Your diet is key! What an idiot I was. No wonder I only had marginal changes. With that being said, I was still getting stronger and seeing some change in my body. So in May 2009 I reward myself and graduated myself from the starter gym to a bigger gym, LA Fitness. I remember my first day walking into LA Fitness to workout. I came out of the locker room with my tank top on thinking I was cool only to look silly when I saw what buff and big looked like up close. I went from being a big fish in a little pond to being a guppy in an ocean. I immediately put my sweatshirt back on and quietly worked out. For Months I Trained And Bought Books And Studied. While at LA Fitness I was introduced to the sport of Triathlons. If you would have ever asked me if I would do a Triathlon I would have said hell no. The fact was I did not even know what it was 2 years ago. I could not even swim. To make a long story short I taught myself how to swim and have been competing in Triathlons for the last 2 years. I am now in training for a Half Ironman Triathlon this year (2011) and full Ironman in 2012. It is now October 2009 my Triathlon season is over and I am declared a certified gym rat. Now I decided it was time to get big. Therefore, for the next few months I consumed roughly 4000 calories a day and took Creatine. Low and behold I started putting on some size. In fact by January 2010 I maxed out at 208 pounds. I was big now, but had no definition, ahrrr! The 2010 Triathlon season started and I decided I wanted to do some type of race/event every month. The next lesson I learned was that too much cardio will not only burn fat, but muscle too. By the June 2010 I could already tell that the size gains I had were all but gone. However I did have decent definition and at this point I was around 8%- 9% body fat. So I was at a dilemma, how do I get big and still race? Through facebook I discovered Max Wettstein who looked great and had my basic body type and I was like wow. My eyes opened. I chatted with max a couple of times and he encouraged me that I could do it. However, I still did not have a plan. 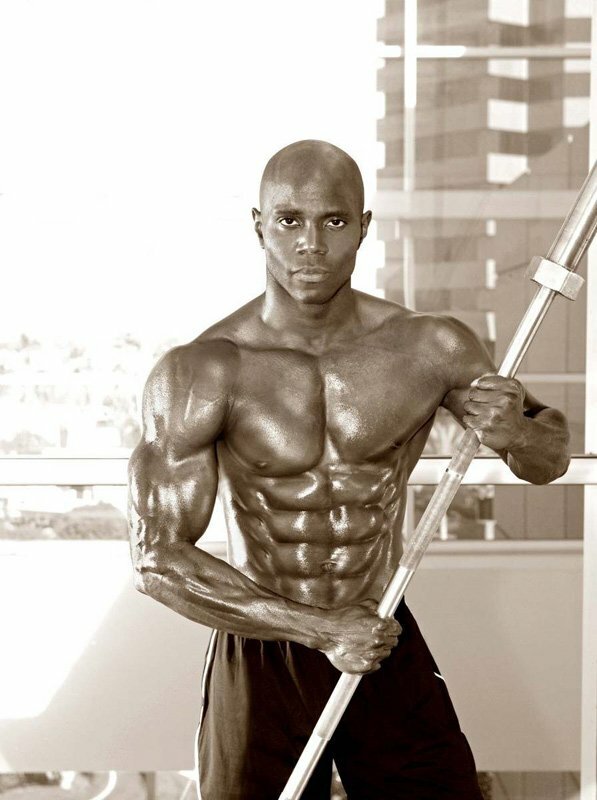 Next I stumbled on Obi Obadike and my eye basically popped out of my head when I saw his abs. I knew I had to reach out to Obi. I found Obi and he said he could help me. Not only did he help me with a plan he also helped me have the right focus and perspective. Obi told me to finish my races for the summer and to look him up when I was done. Obi created a customized plan for me and told me to stick to it and I would see the results. 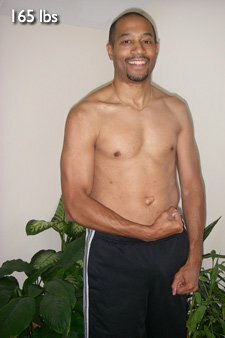 So, on October 1, 2010, I started the OBI 6-Week Fitness Program. Obi&apos;s plan consisted of nutritional component and a gym component. I looked at the diet and thought this will be hard and why would I want to eat like that. Obi told me you have to eat right to look right. Therefore, I had to give up my "Lucky Charms" cereal and all the other junk that I would normally eat. I consider myself a life long-time student and therefore I started reading and studying things about nutrition, metabolic rate, fat burning, etc. As I stated earlier my background is technical and spend most of the day on the computer and I see scams all the time. I have come across other people that say they would remotely train you through email/voice/text msg, but not in person. Being the society and world we live in I just assumed they were all scams too. You pay the money and you never hear from them again. Unfortunately, I knew I needed help, guidance, and a mentor to help get me to the next level and set my focus right. I also knew if you are going to get help why not get the best. At this point, I have been following Obi and what he has been doing in the industry and clearly he was a rocket heading for the stars. In my opinion he is the Michael Jordan of the Fitness Industry. My only thought was that would Obi be too busy to work with me or even have the interest. I reached out to Obi, not expecting a reply or anything and boom, I got a reply right away. That blew me away. I figured it must have been luck. So, I tested Obi by sending him dozens of questions, basically I was interviewing him. He answered all my questions very timely and professionally. I was very impressed. Everything he told me matched the research that I found. I said to myself, "He is the real deal." 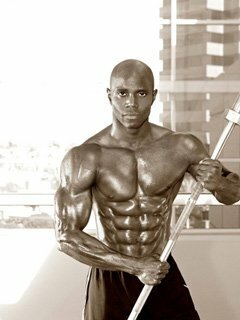 In My Opinion Obi Obadike Is The Michael Jordan Of The Fitness Industry. Obi and agreed on a program and an extremely reasonable price for his help. Throughout the six weeks Obi did not disappear, but he checked on me and we were in constant communication. We tweaked my plan as I went along and I started to see a difference in my physique. From working with Obi, I really learned the importance of diet, wow. Diet is 80% of the battle. Obi really set my head on straight. I used to kill myself at the gym and get minimal results. The high protein, low carb diet that Obi gave me made such a HUGE difference. I had a decent 4-pack for my abs, but Obi helped me get a legit 8 pack. I knew I was heading in the right direction and my physique was correct was when those same muscle heads in my gym who intimidated me were now asking me what did I do and if I can help them! I cannot say enough great things about working with Obi. If you are serious and you want take your physique to the next level there is nobody better then Obi. The key to unlocking the body transformation is in the diet. I ate 6 small meals per day and drank 8 cups of water every day. Here is my training plan that followed. What I learned through this plan that less is sometimes more and it is not necessary to try and kill yourself for hours in the gym. Know you can do it! No matter what size and shape you are you can transform your body. Before I started I thought I looked OK. Now I cannot believe that was me! Never in a million years would I have thought I could do this. You must get control of your diet. It has to become a way of life. Once you understand your body you will know when you can cheat and what you can eat at different times of the day. Study, study, read, read, ask a lot of questions. If you need a good mentor please look up Obi. He is the best. One final thing, you will have to buy a new wardrobe!